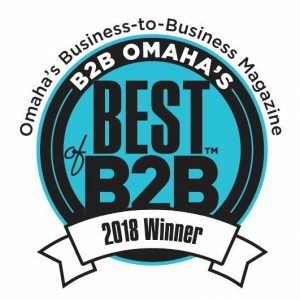 The voting is in and we’re very excited to announce we’ve won Omaha Magazine’s Best of Omaha B2B award for Business Brokerage. The voting was done by peers, which in this case is other Omaha business owners. In just over five years of serving the Omaha community, we are honored to be recognized as a leader in the Omaha business community. We plan on growing our business and continuing to grow on our success to give Omaha the best value possible. As an experienced Omaha business broker, our focus is quality service that culminates in a successful sale or purchase of a business. Client success is our primary goal for each client we represent. We don’t just take on clients for the sake of generating new business. Confidentiality, attention to detail, and years of experience have set us apart from other Omaha business brokers. If handled by the right brokerage team the marketing and sale of an existing and operating business will result in the successful matching of a buyer and seller who otherwise, may have never crossed paths. Our RBA team of professional business brokers has over 50 years of experience. Team members have owned and sold their own small businesses. Consulting with companies and selling them at the appropriate time is one of the things we do best. Marketing and advertising for all types of businesses has given us an advantage in our industry. We’ve sold information technology companies, bars, taverns, nightclubs, restaurants, fast food establishments, liquor stores, wholesalers, distributors and food and beverage manufacturing. In addition, we’ve sold various companies in other forms of manufacturing including metal, plastic, wood, rubber, fabric, and apparel. This list goes on and on. If you’re a business buyer or seller in Omaha we can work with you and help execute a successful transaction. Our RBA team is so thankful for all the people we’ve worked with over the years in Omaha. You’ve put your trust in us. Without you, we would not be the company we are. It’s been a joy serving the Omaha community and helping people and businesses realize their dreams. We will honor this award and recognition and continue to strive to be the number one business brokerage team in Omaha. We look forward to many years of bringing buyers and sellers together in Omaha.